Burma’s first coal power plant and mine were closed in 2014 following successful mobilizations by residents. The reopening of the power station has renewed the protests against the dirty energy provider. Tigyit is a village in Shan State, Myanmar that was once rich of local traditions and diverse livelihood practices based on rotational agriculture of rice, potatoes, cabbage, garlic and chili. Tea coming from the area has been famous in the country. 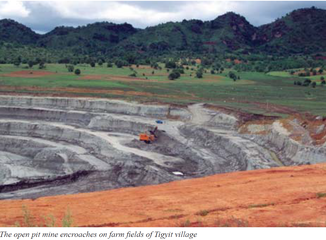 In 2001, the village was turned into Myanmar’s first large-scale coal mine and power plant. Strong local opposition due to concerns over adverse health and environmental impacts followed. The Pa-Oh Youth Organization (PYO) – a civil society group (CSO) set up by monks, women and youth in 1998 - and Kyoju Action Network (KAN) published a report in 2011 that documented the negative experiences with the Tigyit coal project [see 1 – 2011 report “Poison Clouds: Lessons from Burma’s largest coal project at Tigyit”]. The project site was chosen by Burma’s military regime in 2001 and the local military was instructed to confiscate 100 acres of farmland without any adequate compensation. Construction of the mine and the power plant began in September 2002 by Chinese and Burmese companies (see Project Details, below) and was completed in April 2005. The CSO report states that “Hundreds of acres of farmlands have been seized and two entire nearby villages have been forced to relocate without any assistance. Local populations had no say in the project that has so radically affected their lives and still have little understanding of its long-term health impacts.” [1, page 5]. The relocation of the two villages required also land confiscation of other villages to provide farmland to the displaced people . The social and environmental impacts have been far-reaching, documents the report. Dispossessed farmers lost their livelihoods. Some families were forced to turn to cutting trees for sale as firewood, or had to migrate to survive. The explosions from the mine destroyed one of the most important cultural sites, the local pagoda, as well as other village buildings. Following these events, fights between the villagers and the company emerged. No Environmental Impact Assessment (EIA) was publicly released . Huge waste piles accumulated just next to Thar Yar Kone village and air, water and noise pollution have turned into a severe health threat to the 12,000 villagers living within a radius of 8 km. About half of the population reportedly suffered from skin rashes . Polluted water and waste from the mine and power plant flow via the Balu creek into the famous Inle Lake - a heritage site of the Association of Southeast Asian Nations. The consequences and impacts on the lake remain unknown as no related studies have been conducted. The conditions for mine workers have been harsh. According to the 2011 report, several workers died due to landslides at the mine . Although some of the electricity has been provided to Tigyit village, most has been used by nearby industries, including a controversial iron factory run by Russian and Italian companies. Meanwhile, medical centres in Taunggyi lacked sufficient electricity supply and had to use generators for surgeries. (See the 2011 report  for a detailed description of the social, environmental and health impacts). Strong social mobilizations against the project have arisen. The civil society groups PYO and KAN started to monitor the project since February 2010 and assisted local communities to oppose the harmful coal mine and power plant. The government and the company were urged to stop the project immediately to properly assess social and environmental impacts . A temporary victory for environmental justice was achieved in 2014, when the project was suspended by the Union Solidarity and Development Party government because of mounting pressure and complaints from residents . However, in 2015, then-President U Thein Sein granted a 22-year lease to another Chinese company to upgrade the plant's technology in order to restart the facility . Tests for the resumption of the plant followed during 2016 [3,4,5]. But also the strong opposition of residents and civil society groups against the coal power plant is resuming . Project Details The coal mine and coal power plant is in the village of Tigyit, Shan State, about 20 km from Myanmar’s Inle Lake. According to the 2011 report , there are 16 large-scale coal deposits in Myanmar with a total of coal resources amounting to 270 million tons. 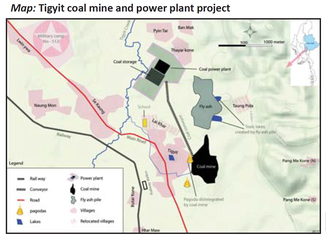 Tigyit has an estimated deposit of 20.02 million tons of coal (Lignite and sub-bituminous). 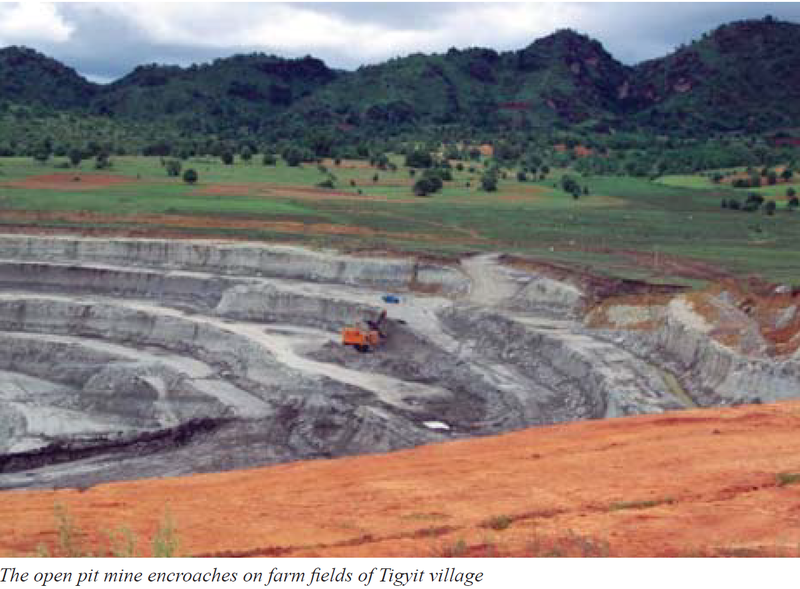 At the time of publishing the report, the Tigyit project was Myanmar’s biggest open pit coal mine, producing between 1,750 and 2,000 tons of coal/day. Smaller amounts of coal have also been extracted through tunnel mines, located under farmlands and paddy fields. Produced coal is transported to the Tigyit coal power plant. The Tigyit mine was implemented by China National Heavy Machinery Corporation (CHMC) and the Burmese companies Eden Group and Shan Yoma Nagar . Investment for excavation between 2002 and 2011 was estimated to amount to 10 million USD . The coal power plant is about 2km away from the mine. According to the 2011 report, the Tigyit power plant uses about 640,000 tons of coal/year to produce about 600 GWh annually. 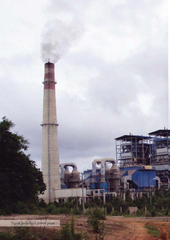 The plant has a capacity of 120 MW . The produced electricity is then slated to nearby industries, including the nearby Pinpet iron factory, operated by Russian and Italian companies . The power plant has been operated by China National Heavy Machinery Corporation Company (CHMC), Eden Group of Myanmar and Myanmar Electric Power Enterprise (MEPE). Investment cost was estimated (in 2011) to amount to about 43 million USD . During operation, about 100-159 tons of fly ash is generated per day. Fly ash contains heavy metals such as mercury, lead and arsenic . Upgrading conducted during 2016 has been carried out by the Chinese company Wuxi Huagaung Electric Power Engineering [4,5]. Other Several workers died due to landslides at the mine . Why? Explain briefly. Bottom up mobilizations successfully helped to shut the plant in 2014 and the case has became an important reference for the countrywide struggles against coal power. However, the coal power plant has recently reopened under a new permission. 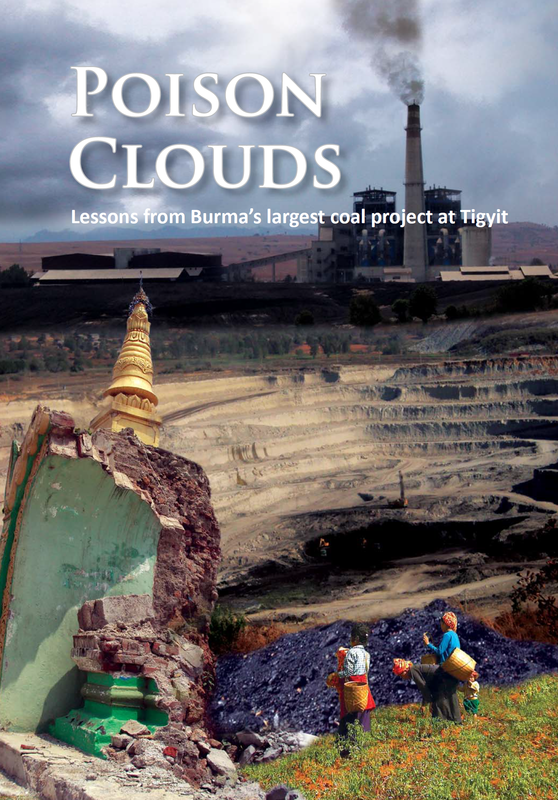 PYO and KAN 2011 "Poison Clouds: Lessons from Burma's largest coal project at Tigyit". Pa-Oh Youth Organization (PYO) and Kyoju Action Network (KAN). (accessed online 11.06.2018). Myanmar Times, 10 November 2016 "Official speaks out against coal power" (accessed online 11.06.2018). 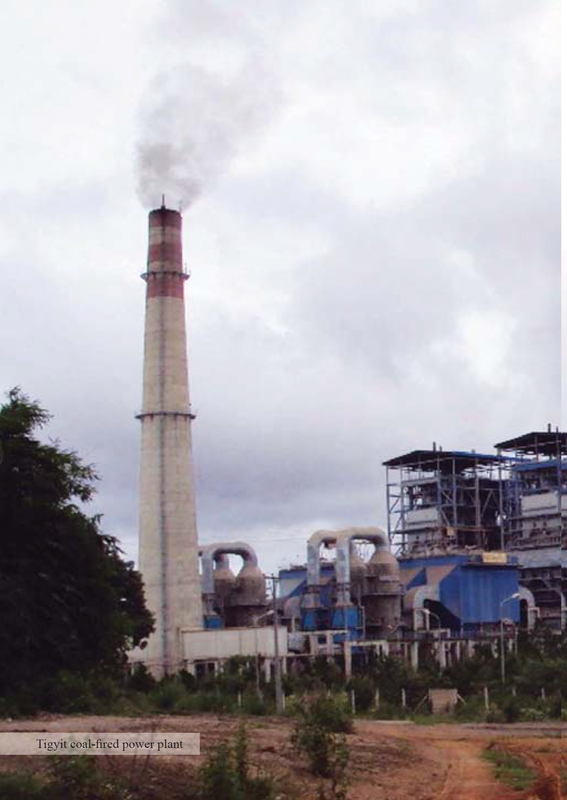 Myanmar Times, 28 April 2016 "Chinese firm to restart Myanmar’s only coal plant" (accessed online 11.06.2018). Myanmar Times, 265 October 2016 "Residents fear restart of coal power plant" (accessed online 11.06.2018). 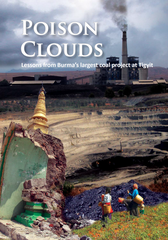 Video "Burma biggest coal mine" based on the 2011 Report "Poison clouds"